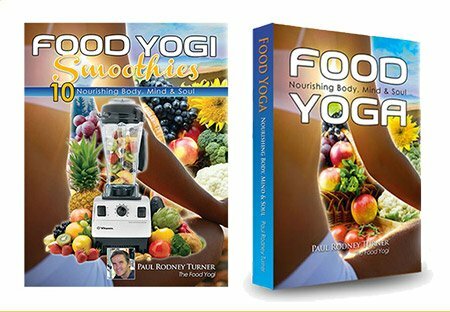 Paul Rodney Turner, the “Food Yogi” is the international director of Food for Life and the co-founder of Food for Life Global, the world headquarters for the charity. Food for Life Global is the largest plant-based food relief in the world with projects in over 60 countries that serves up to 2 million meals daily. Paul was born in Sydney, Australia in 1963 and grew up in Whalan, a part of Sydney’s Western Suburbs. As a young boy, Paul enjoyed seeing his father make food for his guests. His father was a colorful character and never missed an opportunity to have some fun. “Without fail when a friend came to visit, my father would offer them something to eat. However, his gesture of hospitality always had a devious agenda. The snack was usually a toasted “waffle” sandwich consisting of leftover curry or pasta and then laced with the hottest chilies he could find! My dad was a typical Australian larrikin. Seeing grown men cry while enjoying every bite was pretty funny”. At the age of 19, Paul left home to live in an artist commune in Sydney’s Blue Mountains. “The place was called Art Haven. Some artists had taken over an abandoned holiday resort in Blackheath and had sent the word out for other artists to come and join them. Looking for any excuse to get away from the abrasive life we had come to expect in Whalan, Paul, his older brother Daniel and best friend, Jeff Cassels took up the offer.” During his time at Art Haven, Paul met Akrura das, a former Hare Krishna monk who used to cook at the Krishna temple in Sydney. Akrura introduced Paul to the fundamentals of Indian cooking and it was this experience that fueled Paul’s desire to one day become a temple chef. Soon after Paul joined the Krishna ashram in Colo River, NSW shaved his head and took a vow of celibacy. For the next 14 years Paul, now known as Priyavrata das by his fellow Vaisnava monks, studied the ancient teachings of the Vedas as taught by His Divine Grace A.C. Bhaktivedanta Swami. In the early years of Paul’s life as a monk, he learned gourmet vegetarian cooking and was soon cooking the Sunday feasts for the Sydney Hare Krishna temple, sometimes for as many as 300 guests. His desire to focus exclusively on India’s Vedic culture of hospitality inspired him to start his own outreach project. At the time, Food for Life was a fledgling food relief organization with only a few programs in Australia, USA, Western Europe and India. In 1986, Paul started a Food for Life club at the Sydney University where he and other monks provided a hot lunch to hundreds of students three times a week. “The purpose of the club was to give the students a taste for higher vibrational food and to encourage them to change their diet,” he said. 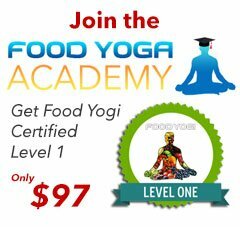 In 1989, his Food Yogi journey took him to Sydney’s Hunter Valley region where he started a new Food for Life program that also included employing chronically unemployable youth to grow organic vegetables for the local Food for Life project, to which the NSW state government awarded a grant of $120,000. The message perfectly captured the soul of Food for Life and the Vedic culture of hospitality that is founded on the principle of the spiritual equality of all beings. From 1999 to 2003 Paul was a Council Member and Magazine Editor for IVU (International Vegetarian Union), the official umbrella organization for vegetarianism worldwide. During Paul’s travels, he also visited three war zones–Chechnya, Bosnia and Georgia. 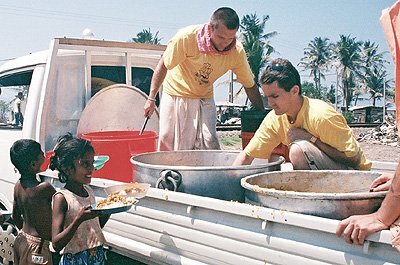 In 2005, Paul led an international team of volunteers to set up makeshift kitchens in villages across Sri Lanka in response to the Asian tsunami, where volunteers served freshly cooked vegan meals to tens of thousands. In 2010, Paul directed an international relief effort in Haiti where Food for Life Global served thousands of organic vegan meals to hungry Haitians. Later that same year, Paul published an instructional book for volunteers wishing to start their own Food for Life project, called How to Build a Great Food Relief. In the following year, he released a new edition of the Food for Life training manual. Now some 30 years later, Paul continues to serve the expansion of Food for Life projects around the world as a volunteer. His most recent emergency adventure was to establish a feeding program in Japan for the survivors of the 2011 tsunami, establish a new kitchen for a school in Haiti and oversee and financially support the emergency response of FFL teams in the Philippines responding to Typhoon Haiyan and the Syrian refugee crisis in Europe. 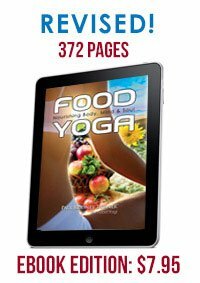 Paul merits the teaching of the Bhagavad-Gita as the foundation of his venture into exploring raw food nutrition. However, it was the example of the “Godfather of Raw Gourmet,” Aris Lathan, who got him really inspired. Later he studied the works of David Wolfe, Cherrie Soria, Brenda Davis and Vesanto Melina to get a solid foundation in raw food nutrition. 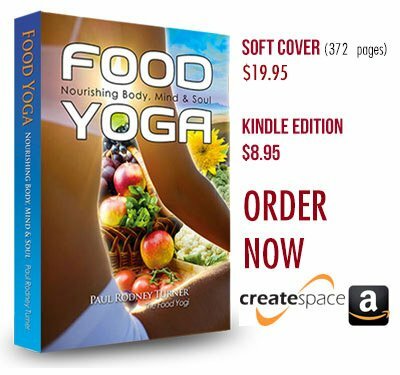 Paul now believes that the ideal diet for a food yogi is one that is as close to nature as possible; non-violent, intentionally prepared, and designed according to one’s unique bodily constitution and circumstances. In other words, it may not be 100% raw but is plant-based. 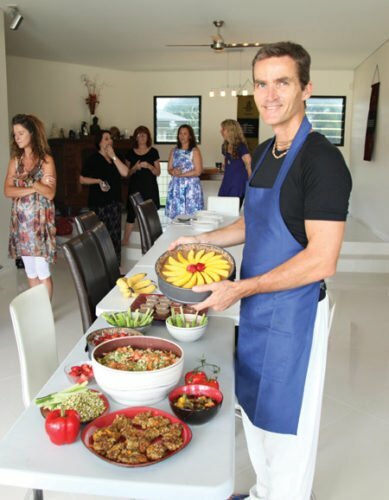 Paul is available for personal consultation and now travels extensively conducting Food Yoga workshops that include demonstrations of raw vegan gourmet meals. He is currently working on several book projects, including a new healthy cookbook titled Sacred Foods. To contact Paul for private consultations, workshops, or speaking engagements, please go here.